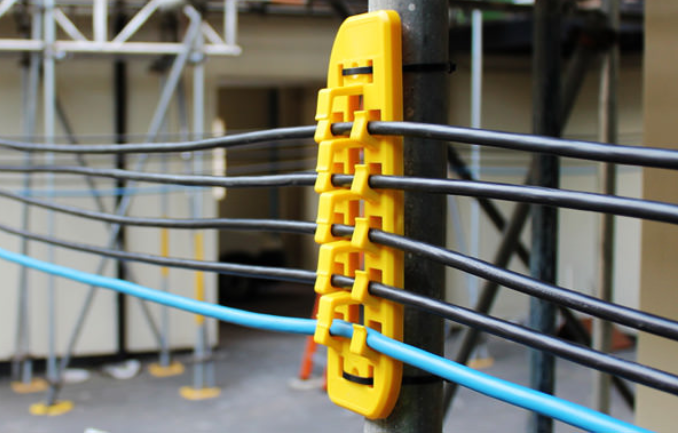 Here at Cable Trail, we offer cable management, identification tags, site safety, cable identification, cable protectors, project management, internal cable management, external cable protection, cable mats and lockout padlocks to clients throughout Wetherby and the surrounding areas of North Yorkshire. 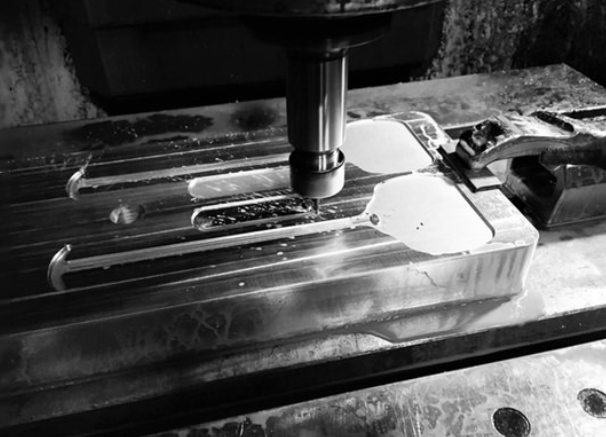 If you would like to know more information on the products that we offer, be sure to get in touch with our experienced team today. We’d love to hear from you and assist you in any way we possibly can. We are very proud to be one of the leading companies for cable management and other products such as cable protectors, cable mats, lockout padlocks and identification tags in the UK. Regardless of whether you’re looking for a temporary solution or a permanent one, we’re here to ensure that your every need is taken care of. So, for the very best cable management products for your needs, you can count on the team here at Cable Trail in Wetherby. Cable Trail was derived from an innovative project that was to solve a specific problem. Since then, we have had the pleasure to develop a portfolio of problem-solving products as well as being able to offer fast and efficient solutions tailored t your own particular asset or cable management problem. That said, you can trust our team of experts to take care of all of your cable management needs and discover more of the products we have available for you. When it comes to cable management, our professionals here at Cable Trail definitely know a thing or two. Having offered cable management as a service across the UK for many years now, we’re the team you can rely on no matter what. 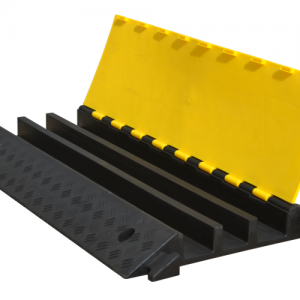 Using an innovative, patent protected system for the management of both temporary and semi-permanent cable solutions, our cable management products are guaranteed to exceed your expectations. The unique reverse hook arrangement allows cables to be quickly and easily loaded and locked into a row and held tight between two cable tracks, spaced up to 3 metres apart. 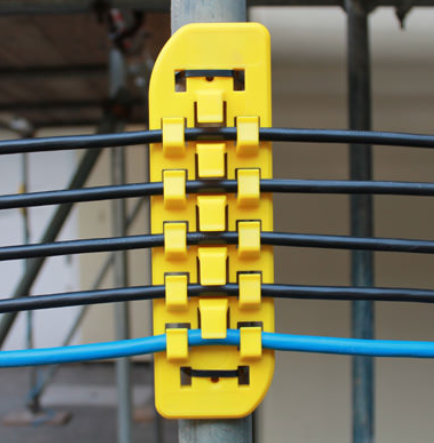 Although they were originally designed for temporary site management, cable tracks can also be used as a semi-permanent installation for organising cables, therefore replacing traditional trunking and working at a fraction of the cost. 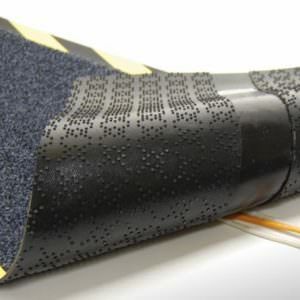 Cable tracks can be attached by screws, magnetic pads or poles by cable tie features and with advanced features such as RFID chip location, we provide the perfect solution to safely handling and managing cable runs in any industrial sector. At Cable Trail in Wetherby, we offer asset management tags to clients across the UK. With many years’ worth of experience in providing asset management tags, our team are the professionals you can count on for your identification tags. 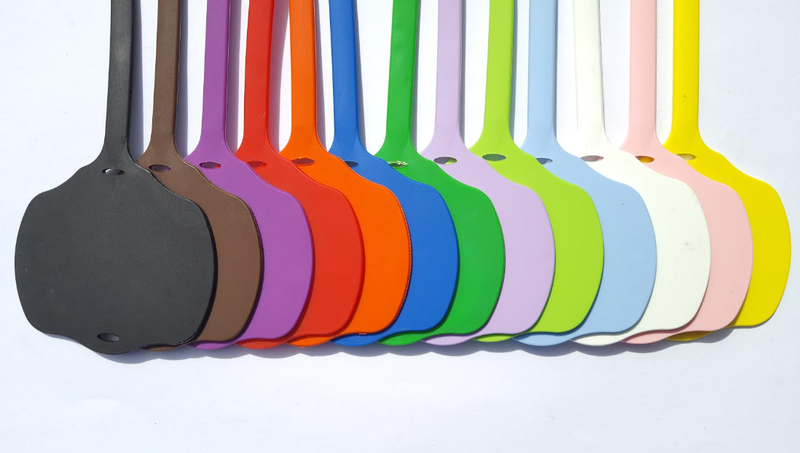 During our time of supplying identification tags, we’ve developed an outstanding reputation for all of our products and services. Once more, we have become the leading choice for many in search of bespoke identification tags and cable management products. 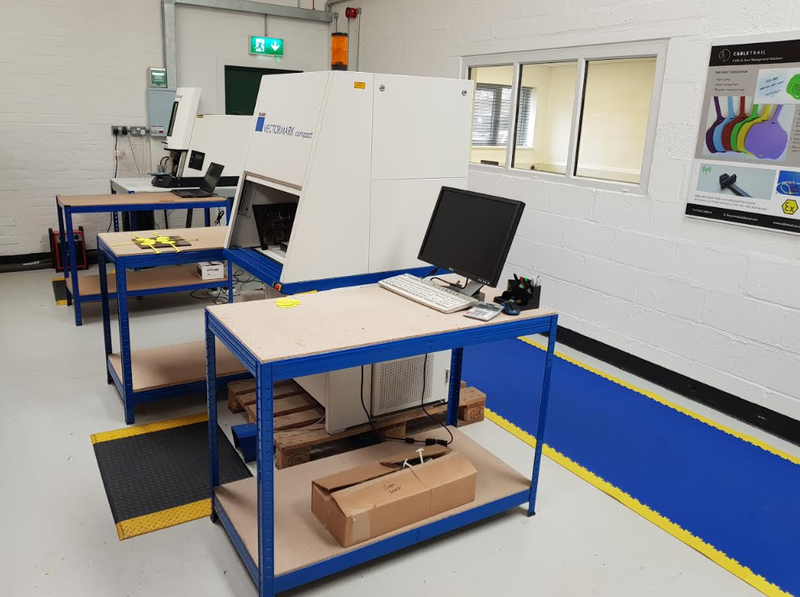 Whether it’s a single piece of equipment you need to identify for your own register or part of a more sophisticated assets management program utilising electronic coding, we can help you. 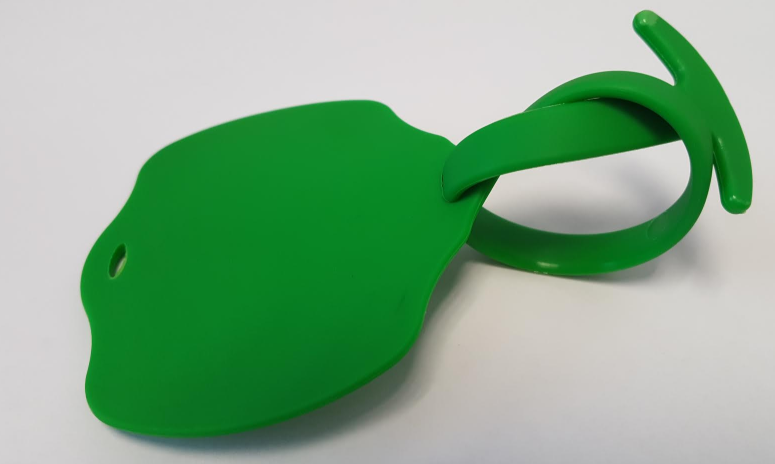 We have a wide range of off-the-shelf solutions including Atex, RFID asset tag products, personalised ID tags, plastic cable ties and much, much more. If for some reason we don’t have a product to suit your needs, we can work with you to develop your own unique solution through our product management team. If you’re based in Wetherby, North Yorkshire or the surrounding areas of the UK and you require additional information on the products that we offer, such as cable management, identification tags, site safety, cable identification, cable protectors, project management, internal cable management, external cable protection, cable mats and lockout padlocks, please don’t hesitate to get in touch with our experienced team today. We’re always here to take your call, deal with any enquiries and answer any questions that you may have regarding the products and services that we offer from our base in Wetherby. Alternatively, you can take a look at our website to see a full overview of the cable management products that we provide throughout North Yorkshire and the rest of the UK, we’re sure that you’ll love what you find.